“Armed forces of our country are putting their best foot forward to protect us. Why should one presume that the powers of security forces are against human rights? Such promises will destroy and finish the morale of Armed Forces and limit powers of a District Magistrate. “On one side, Congress said they want to bring the status of martyrs to all Armed Forces people but on the other, they promised changes in the AFSPA,” she added. Sitharaman advised Congress to first improve the law and order situation in Jammu & Kashmir before thinking of amending AFSPA. 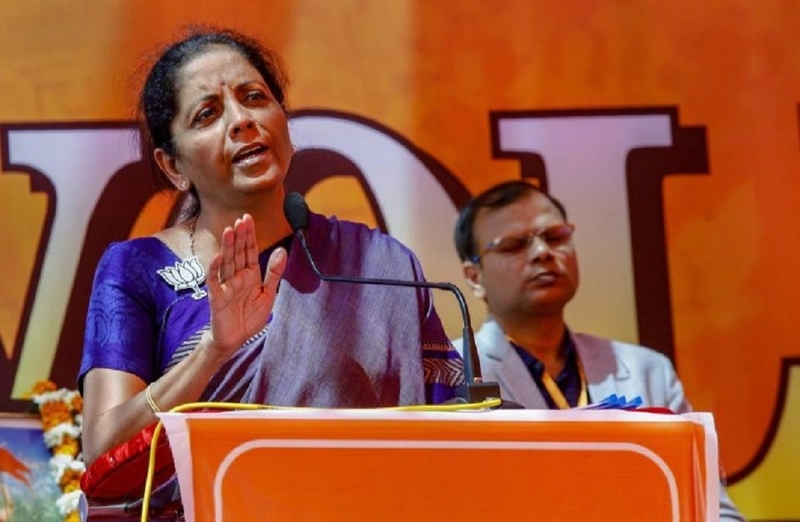 ‘India fully prepared to give befitting reply to any attack’: Defence Minister Nirmala Sitharaman asserted Wednesday that India was fully ready to give a befitting reply to any attack and that the country was in safe hands. She was responding to a question about IAF scrambling 2 Sukhoi-30 fighter jets on Monday after a Pakistani drone was sighted. “I want to give this assurance that India and its forces are fully prepared and this is an example. We are ready to give a befitting reply to any attack like this. India is in safe hands,” she told reporters.